Caffeine is an alkaloid. Caffeine stimulates the central nervous system, heart muscle and respiratory system. 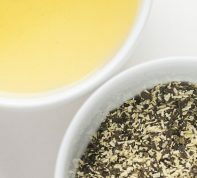 It is diuretic, increases alertness and delays fatigue. Caffeine is naturally found in many plants. Caffeine in tea gives bitterness. 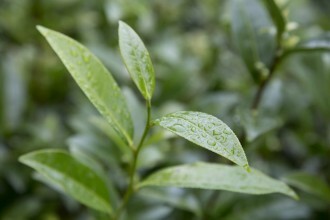 Generally more caffeine is found in younger leaves and earlier harvest. 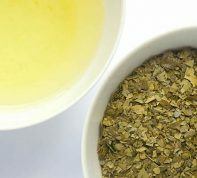 Higher quality green tea contains more caffeine, but also contains more amino acids, which is known to diminish the effect of caffeine. 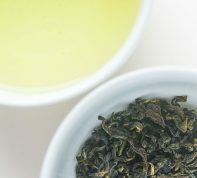 In Zen meditation, green tea has been used for centuries for increased alertness. Just like too much of anything is a problem. For that matter too much water can be fatal too. In most cases caffeine overdose will not kill you, but it can be fatal. LD50 of Caffeine is 192 milligrams per kilogram in rats. A lethal dose for an average adult is estimated at 10 grams or more. However, a toxic dose will vary from person to person. Caffeine taken in high concentration in sufficient quantities could cause vomiting, unconsciousness, and death. Coffee or other strongly caffeinated drink, it generally requires large dosage (150 to 200 milligrams per kilogram of body mass, roughly 150 to 180 cups of coffee for an average adult) before dangerous levels are reached. *This table is not accurate representation of any specific tea. It is to give readers general idea about caffeine contents.